An unhackable global crime syndicate. An assassination order on a diplomat and his family. 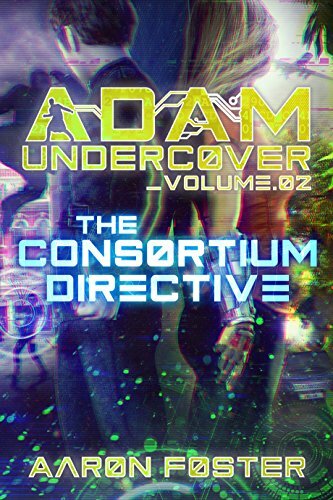 A government powerless to help.The world is a small place when you're being hunted.Adam and Emma are used to being the youngest agents in the Arcanum Trivindico. Remarkable gadgets, vehicles, and advanced training continue to hone their talents as undercover operatives. A pair of new classmates and an unsanctioned assignment bring questioned loyalties and sparks of romance. As they battle their way across a jungle on an unfamiliar continent, each of them will be pushed to the limit to survive… and complete the mission.The Presidium Files (Book 1) available now. Look for the final episode (Book 3) in the trilogy coming late 2018. Adam has just finished the best school year of his lifetime. He has saved the world and has become a secret agent. Unfortunately, his parents do not and cannot know about what he has done.